What is old becomes new again and there’s certainly no greater truth than when talking about the restaurant business! 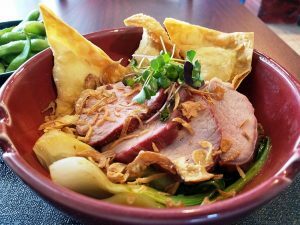 While you sometimes get a restaurant with 70+ years of longevity, oftentimes, restaurants are changing concepts and names. So I was pretty excited to see what would come from the new Mulino Italian Kitchen in Raleigh. 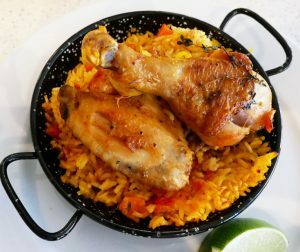 Owned and operated by local Samad Hachby, the restaurant launched as Babylon (Moroccan cuisine) but recently transformed to Mulino Italian Kitchen and Bar earlier this year. 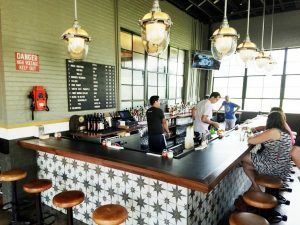 I’ve had the chance to visit the new space several times for a cocktail and two dinners to get a feel for what they’re doing in the new space. 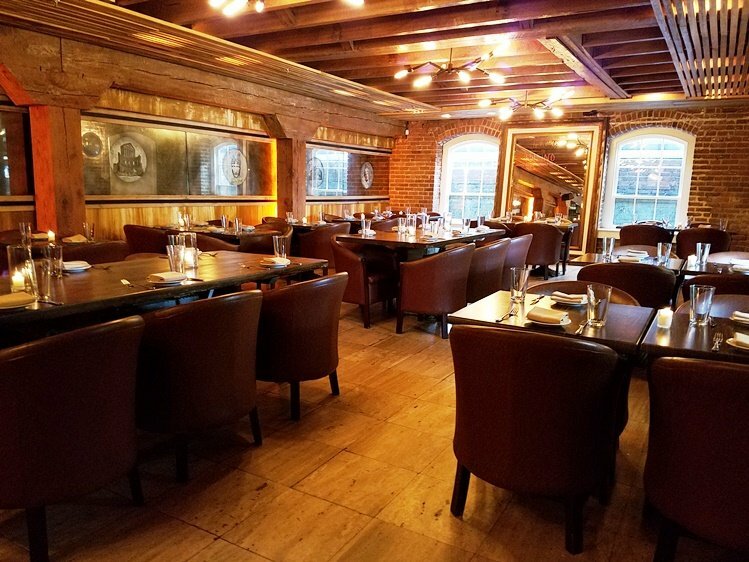 And I can certainly say that Mulino Italian Kitchen will probably impress and surprise you, it’s an urban dining oasis right here in Raleigh. 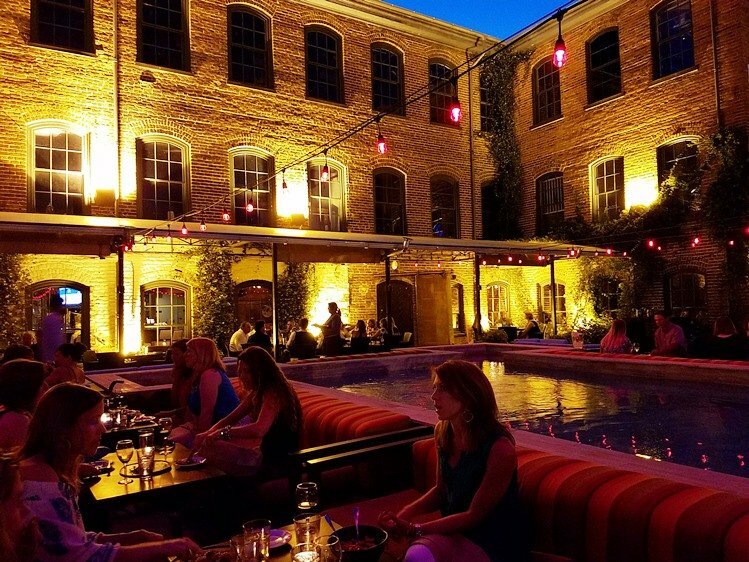 If you show up on a warm evening, you’ll usually find Mulino Italian Kitchen bustling with activity! And given how beautiful their patio is, it’s hardly a surprise on good weather days. There’s a hostess kiosk up front and you’ll probably need a reservation on the weekends. Red lights are strung over the patio and the dimmed lighting makes for a magical scene. 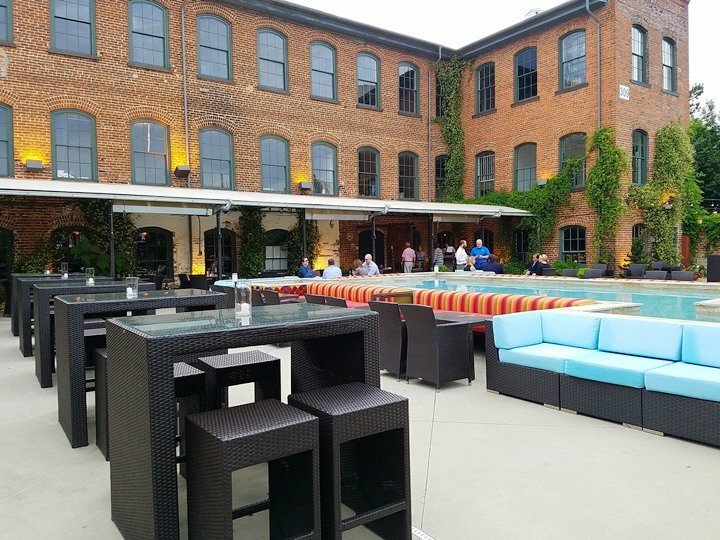 Mulino’s patio is furbished in upscale wicker patio furniture and seating that just feels really comfortable but modern. Tables are looped around the reflecting pool along with some high-top tables by the bar, perfecto! 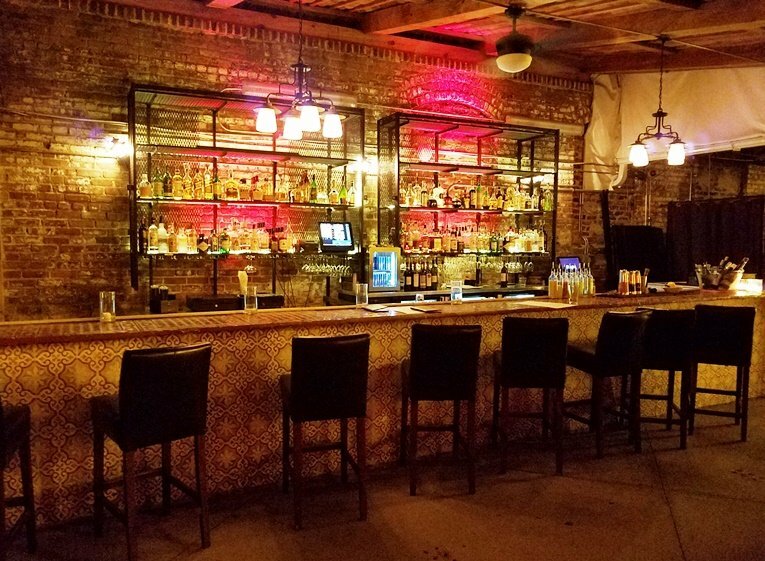 And while the patio is amazing, don’t miss out on the rich dining room inside which features complex and intricate Mediterranean style woodwork on the ceiling, stone tile floors and rich leather seating. 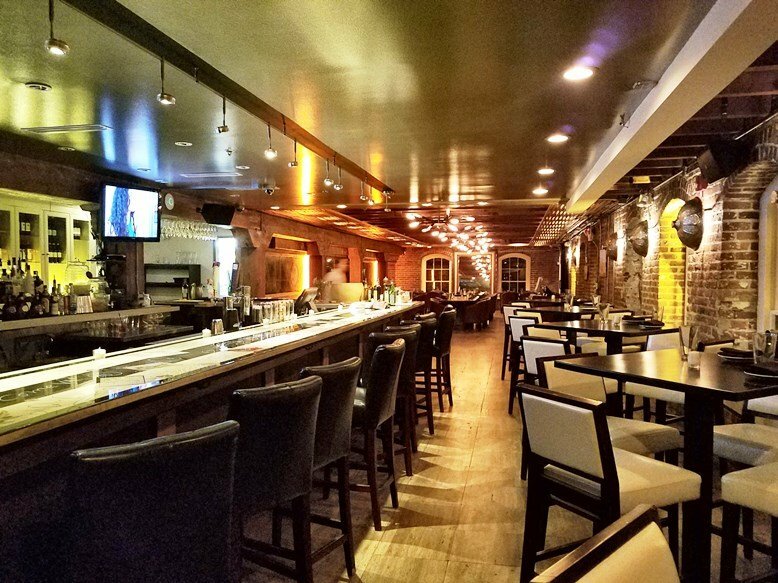 Mulino Italian Kitchen is just as impressive on the inside as it is on the outside! It’s all makes for a beautifully adorned and upscale dining room, make sure you stop in even if you are dining outside. Mulino Italian Kitchen also has a 2nd floor reserved for events and weddings, I have yet to see it but hope to, soon. 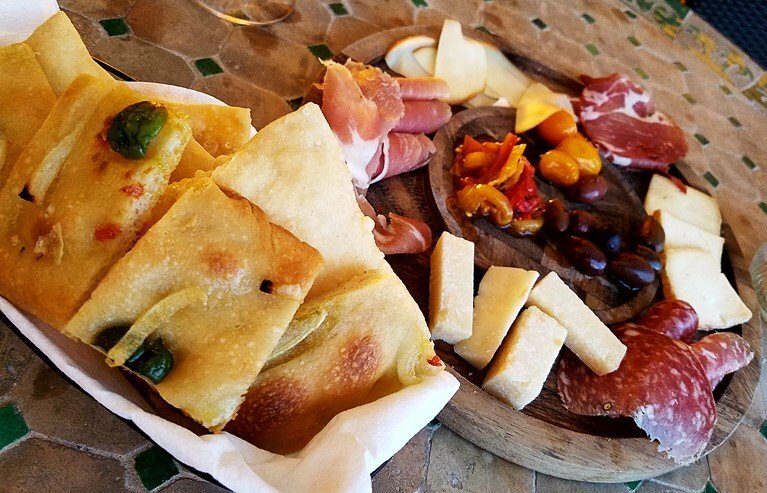 To start your meal, Mulino Italian Kitchen offers up a solid selection of wines, cocktails and beer and the patio bar is a great place to sit and sip on a drink. But if you’re doing a full meal, definitely grab one of the tables by the reflecting pool! For dinner, I’ve ordered off their regular menu and also did a house special. 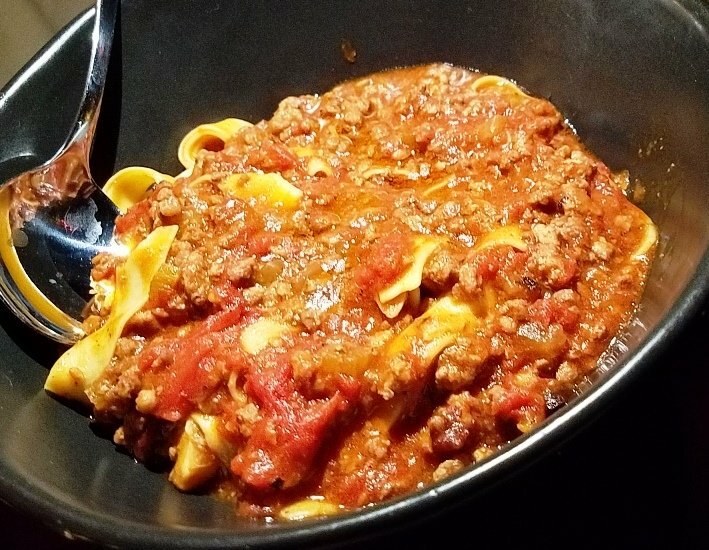 Mulino Italian Kitchen’s standard menu has a good blend of appetizers, pizzas, along with a short list of pastas and main courses (primi and secondi) with the majority of the menu in the $12 to $20 range, very reasonable. For my first visit we ordered up the fritti misto (fried calamari), pizza salumeria and two pastas for our meal. 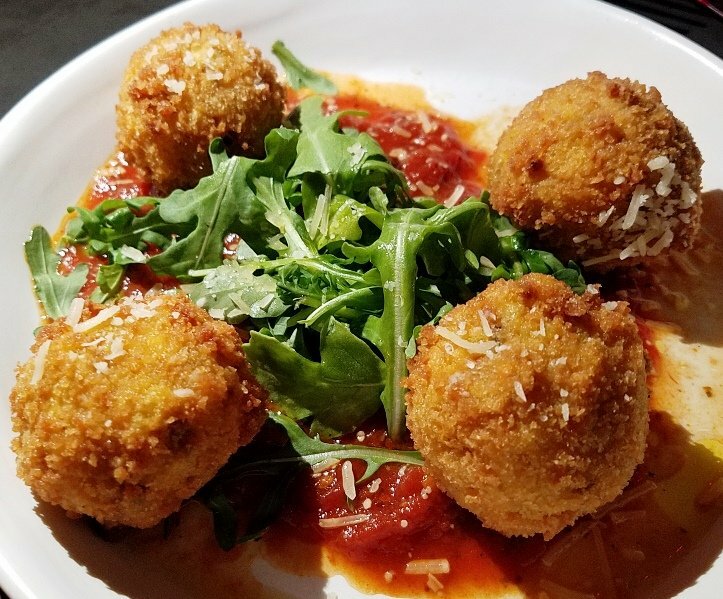 But before we know it, a plate of comped arancini show up at our table. Mulino does their arancini a bit differently, doing a fried risotto ball but doing it with ground lamb! 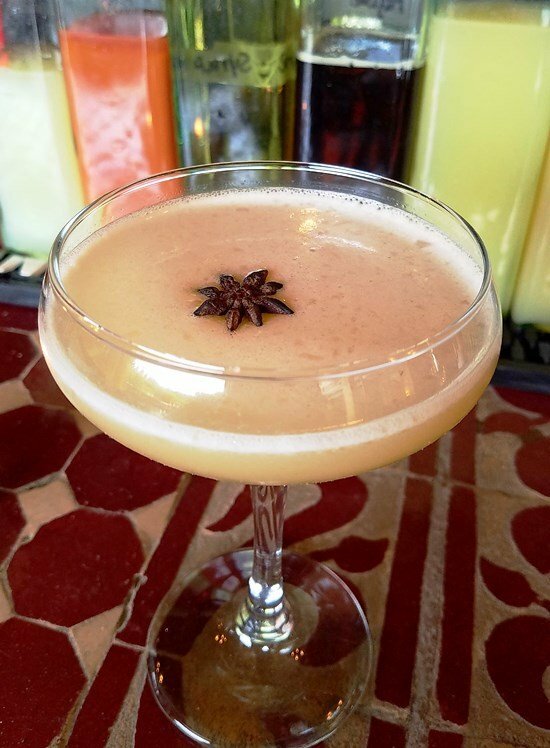 It’s a tasty bite and a nice spin from the usual. 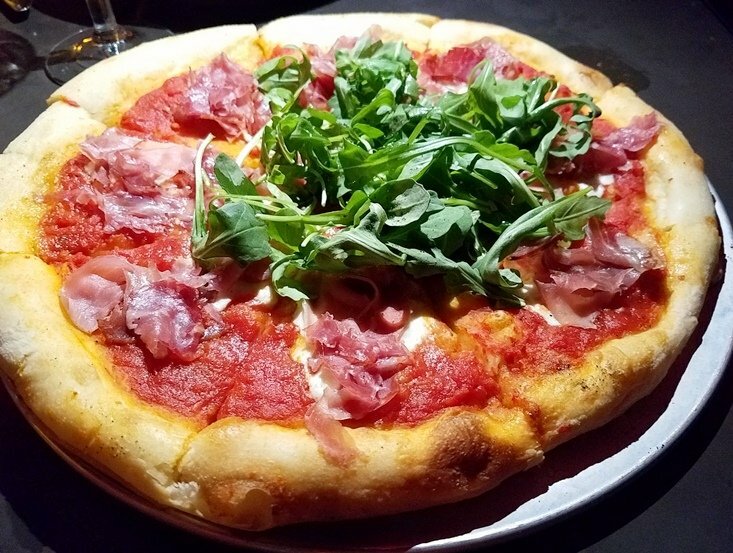 The next item at our table is the salumeria pizza that looks delicious and sports a medium-thickness crust. A decent pizza with good flavor and toppings but more of a standard crust vs thin-crust. We move on to the pastas, two black bowls a nice portion of pasta that’s probably better for one or as a taste for two. 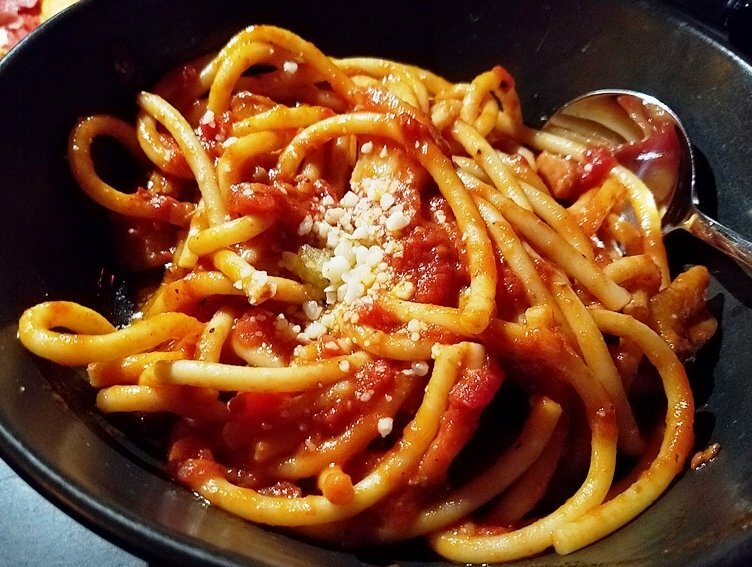 The bucatini amatracina is very good, the pasta is a hollow tube and the sauce has some meaty bite along with some tang of the pecorino romano cheese. My friend’s papparadelle bolognese looks great but gets a mixed review from my friends. Given they make their own pasta, I trust their opinions here. A second, return visit resulted in a unique dinner experience, Mulino Italian Kitchen will be doing a porchetta (roasted pork) special on Wednesdays. We enjoyed an amazing charcuterie plate served up with rich creamy cheeses, thin-sliced gourmet meats, olives and some wonderfully unique breads. 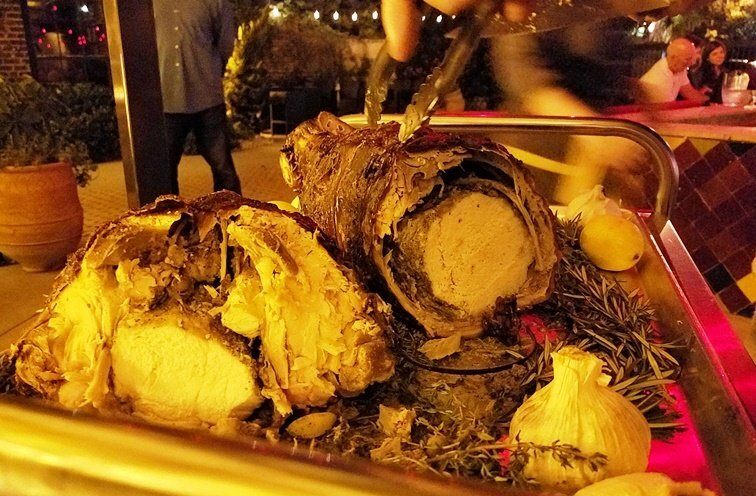 After a salad and truffle risotto, the porchetta roast was hand-carved at our table. We’re talking about a whole pig and pork loin seasoned with rosemary, garlic and much more. This pungent porchetta makes for a very special meal and treat, if you get a chance, try it! Service at Mulino Italian Kitchen was excellent throughout all my visits, it’s a team service but all the dishes come out in a coursed and timely fashion. Dinner on the large patio is not an easy service situation but they handle it well and are well-staffed even on busy nights. And it’s usually pretty busy on that beautiful patio. First Take: Hutchins Garage is Now Open and Fixing Up Top-Notch Pizzas for Durham!